Should I Buy a Suzuki S-Cross? — Auto Expert by John Cadogan - save thousands on your next new car! Hi John, I am interested in buying Suzuki S-Cross for general around town shopping , and possibly going on to sandy beaches. I notice that the S-Cross primarily uses front-wheel drive, with the rear wheels only being used when required by driving and engine operating conditions. It's obviously not like the system used on the Lexus 4X4 hybrids, so just how good is the system on the S-Cross? Thank you, Cliff. Suzuki’s ALL GRIP 4WD system has four modes. This is the normal driving mode that prioritises front-wheel drive for fuel economy. Just right for a trip to the shops. The ‘snow’ mode that prioritises AWD (good for most sand, I think) and gets all four wheels contributing to forward progress - without locking the rotation of the front and rear prop shafts together. The ‘lock’ mode gets those front and rear prop shafts turning at the same rate by locking them together mechanically. It's a 50:50 locked front/rear drive arrangement which includes ESP braking to equalise left/right drive bias. (Good for getting the car extracted in soft sand if stuck.) Not a good idea for hard surfaces because the different paths of the wheels impose significant stress on the driveline when there is good traction underfoot. 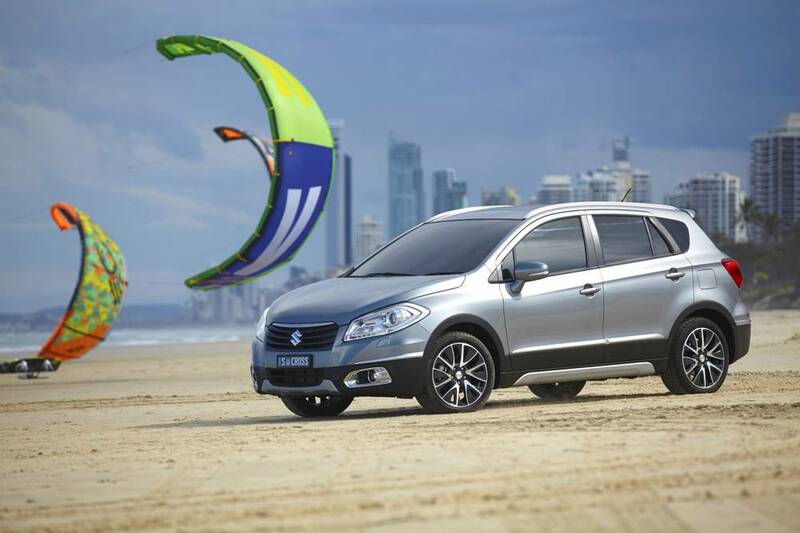 Overall I think you’ll find the Suzuki S-Cross pretty capable for occasional sand drives on the beach. Suzuki builds good cars that are well thought out, as well as well built and good to drive. When driving on sand, remember to reduce tyre pressure to 16psi to maximise contact patch. (But carry a 12-volt compressor for re-inflation before driving on the bitumen again. It is unsafe to drive at normal road speeds with the tyres deflated to 16psi.) Also remember to beware any lateral shunts (from hard cornering) in this deflated state because it's easy to 'break the bead' on the outside tyre. This doesn't actually break anything, but it does separate the tyre and the rim, letting all the air out, inconveniently. In relation to buying the vehicle I will get the brokerage to call you. They can assist with the acquisition of your new Suzuki S-Cross at the best possible price.